Chrissie holds Workshops throughout the year. Usually held at weekends, they can last from two hours to whole days or Saturday and Sunday. Workshops give us the opportunity to delve a little deeper into our Yoga practice. They will often be theme related, Spring, Summer of Winter Solstice for instance, focusing on a particular aspect of our practice (handstands or partner Yoga) or the spiritual aspect of Yoga (Yoga Philosophy or Chakras). Workshops give us the time to look at aspects of Yoga that we don’t have time to in our regular practice. 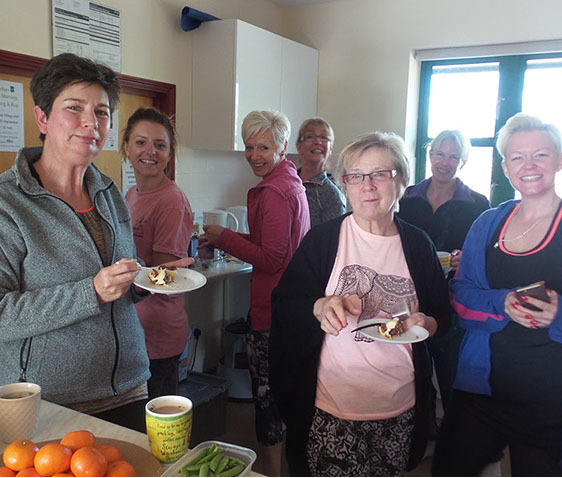 There’s always time for tea and delicious healthy nibbles too so they are a way to get to know your Yoga Buddies a little better and form new friendships. Retreats are just an elongated version of Workshops really. Retreats will usually involve a whole weekend, two or three nights in a residential space. Chrissie enjoys the opportunity to get together with her teacher, Michael Stewart for these events where they can share their love of all things yoga with a small group of like minded people, enjoying time away from our busy lives, eat great food and laugh as well as delve into our yoga practice.